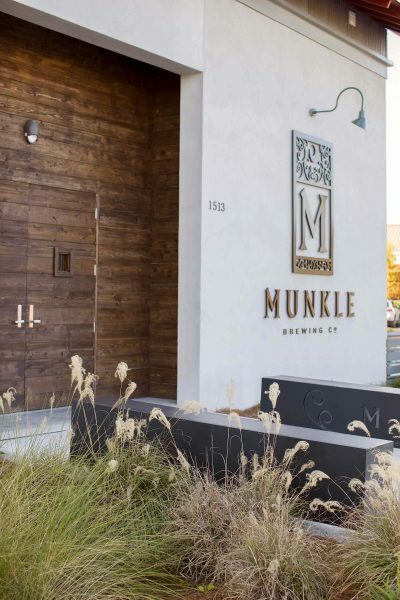 Breweries have become a mainstay in Charleston, and you will definitely notice this brewery as you drive down Meeting Street in “neck” of Charleston. 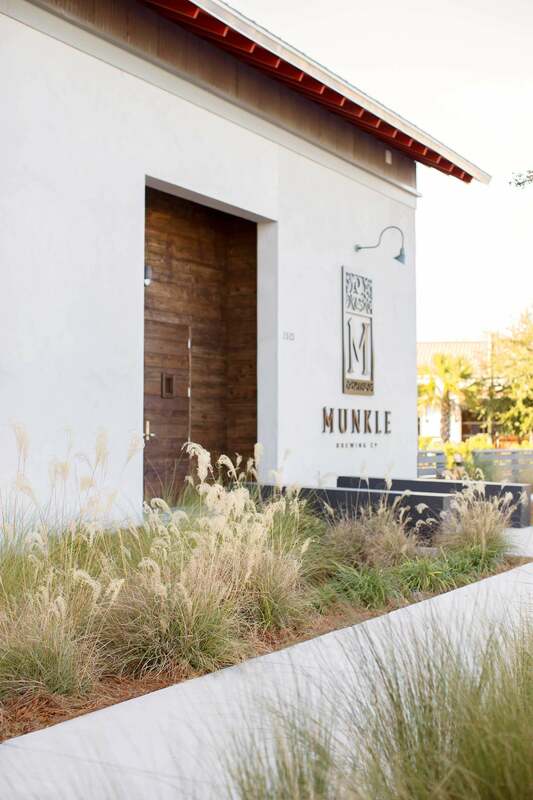 The simple, native plant palette compliments the brewery’s architecture - highlighting the signage on the front facade. 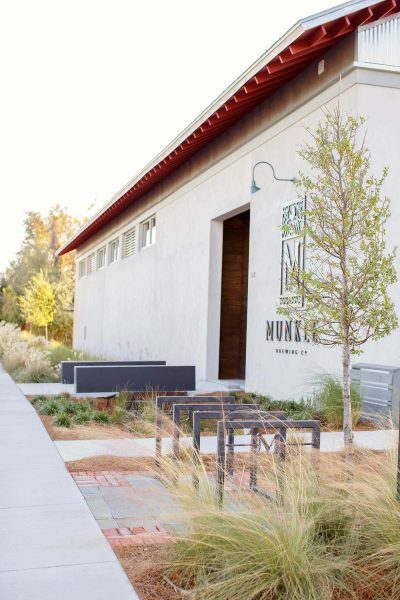 The low wood privacy fence along the front of the property sets the public space apart from that of the brewery and provides screening of parked cars from the road. It is one of the better settings to enjoy a cold Belgium brew downtown. OSD provided landscape architecture and permitting services for this project.